Natalie and her lovely friends booked us for an afternoon of pampering while their husbands were away on a stage do last year, they have re-booked us for this April, so looking forward to seeing them all again. Another fantastic Hen pamper weekend down the Gower back in July last year . 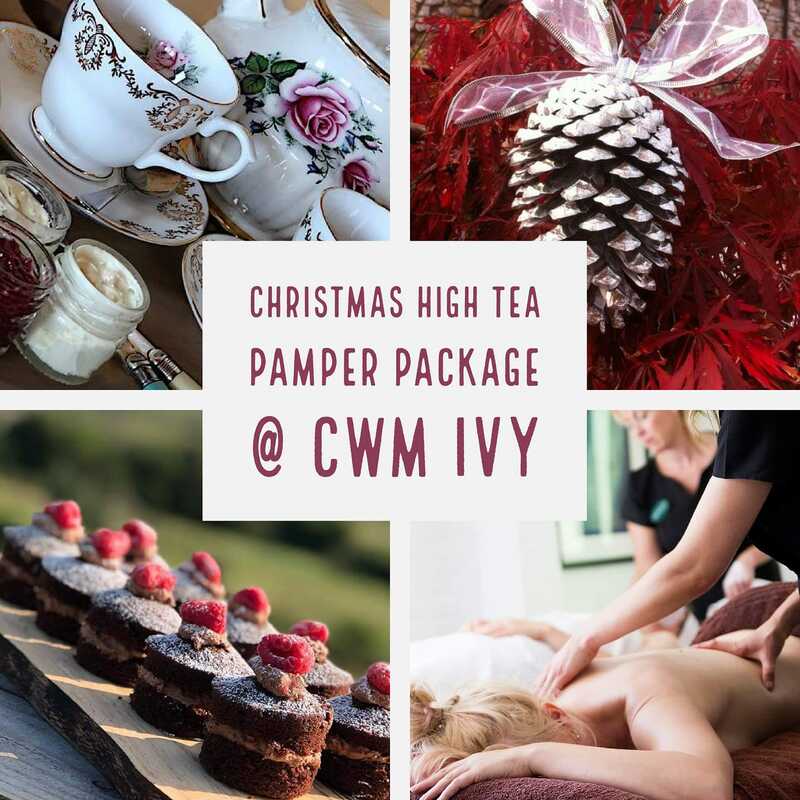 Excited to announce that my team of Fresh Therapy Therapists are also available for a Christmas High Tea Pamper Package at Cwm Ivy. A mince pie and complimentary mulled wine on arrival. Group photo and review sent to us of a lovely bunch of girls we had the pleasure of meeting the beginning of this month. 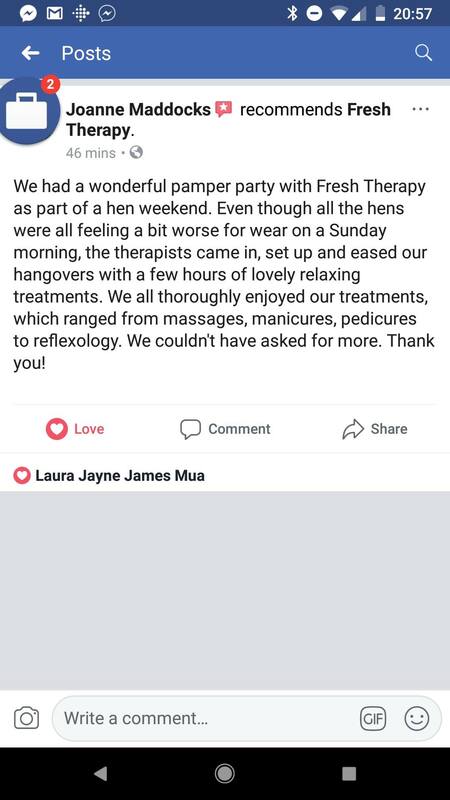 Joanne contact us the beginning of this year as they had booked a holiday let in Pembroke for a Hen weekend, they then hired us on the Sunday for a day full of pamering. We had the pleasure of pampering these lovely ladies at on of Best of Wales properties. Just had this wonderful review this morning from a pamper party we recently did. Another fantastic Birthday Pamper Party at The croft holiday let in Kidwelly. Amy hired us for and afternoon of pampering for her mum’s 60th. We bring the spa experience to your home, holiday let, hotel, office, event ………..
We had the pleasure of pampering the staff at Flying Start Alexandra House in Swansea today. 30th birthday pamper party back in February this year, Emily had hired a beautiful cottage in Brecon for the weekend.